What a blithering idiot. No, let’s not transition these malls into homeless shelters. Let’s fix the problem that President Obama created. Let’s fix the economy so people, families especially, can find good-paying jobs that support families. For eight years, Democrats have whined about income inequality and raising the minimum wage. That’s Bernie Sanders’ economic message. Since then, it’s been co-opted by Elizabeth Warren nationally and Rebecca Otto here in Minnesota. It’s a recipe for disaster but have Republicans said enough to highlight the fact that Sanders’ message is one of short- and long-term economic disaster? What’s unfortunately happened is that there are too many crony capitalists in the GOP. We need unabashed, full-throated Jack Kemp-Ronald Reagan capitalists. First, it’s time to stand up to the Weber-Manafort wing of the GOPe. After that, it’s time to obliterate the Sanders-Warren-Otto wing of the Democratic Party. The sooner it happens, the sooner we’ll be able to stop thinking about treating economic symptoms and start fixing economic problems. That can’t happen fast enough. Darin Broton is a prominent DFL spinner and lobbyist. The last I heard, he was working for Move Minnesota, working hard to raise a ton of taxes to pay for roads and bridges but also to sneakily pay for light rail projects. Thankfully, that effort failed because Minnesotans utterly rejected increased taxes. But I digress. I can’t wait hearing Mr. Broton explain how that’s President Trump’s fault. Whatever argument he makes, I can pin the blame for health care back on President Obama and the Democrats. For instance, it’s indisputable that the ACA’s required coverages drove up health insurance premiums. President Trump made insurance more affordable by letting people buy policies that aren’t as loaded with government-required coverages. Broton’s argument essentially is that government bureaucrats and DFL politicians know what’s best for families. Forgive me if I don’t agree. In the first month of session, we passed the 2017 Health Care Emergency Aid and Access bill. Through many hours of negotiations, the House, Senate, and governor’s office came to an agreement to provide $650 million of tax relief targeted toward middle class Minnesotans. We passed a bipartisan transportation bill that included a multi-billion investment in roads and bridges without raising taxes. Things got going quickly with some huge accomplishments early in session, and the progress didn’t slow down. Some of the major accomplishments include emergency health care relief, the stabilization of the individual health insurance market, Sunday liquor sales, and the passage of Real ID so Minnesotans can use their driver’s licenses to travel domestically or enter federal buildings and military bases. What planet does Broton inhabit? I’m not certain it’s the one we’re living on. Broton isn’t alone in peddling these myths. Other DFL activists/strategists have spread the myth that this was an unproductive session, too. Unfortunately for the DFL, the proof tells a different story. Kim Crockett’s post about her recent trip to our nation’s capitol focused on the work that the Center for the American Experiment is doing to thwart the Met Council’s Thrive 20240 blueprint. First, the Met Council’s transportation blueprint is outdated. Next, it isn’t based on listening to the communities and residents it’s supposed to represent. Third, the Met Council’s transportation blueprint ignores the fact that the American people don’t want to get herded like cattle into a one-size-fits all transportation blueprint. With more people being able to work from home and with more people buying their things from Amazon, E-Bay, Craigslist and other online outlets, the need for transit is waning, not waxing. While Al Gore hates urban sprawl, the American people apparently have voted with their mortgages in favor of spreading out. Here in St. Cloud, we’re fighting against extending the Northstar rail project from Big Lake to St. Cloud. While extending Northstar isn’t as high-profile of a project as building SWLRT is, it’s still built on the same central planning crony capitalist principles. As you watch the video, count how many different pieces of infrastructure have to be built before SWLRT is operational. Then think of how many people will use SWLRT vs. how many will continue to use the highways and city streets. (You can make the same comparison with Northstar.) SWLRT and Northstar aren’t solutions to Minnesota’s transportation problems. They’re impediments to the solutions. Friday night during the Almanac Roundtable segment, DFL activist Abou Amara insisted that the legislature had frequently reformed the Met Council. When I heard that, I replayed that part of the segment (I always DVR it) to make sure I heard it correctly. Indeed I’d heard it correctly. Simply put, Amara’s contribution to that part of the roundtable was BS. The legislature has changed the Met Council’s responsibilities frequently but it hasn’t reformed it. Let’s think of it this way. Each legislator, each city councilmember, each county commissioner and each school board member have hundreds, if not thousands of constituents. The Met Council has a single constituent — the governor. They don’t have to listen to members of the metro city councils, the Hennepin County commissioners and they especially don’t have to listen to the residents of the 7-county metro area. If they decide to ignore the city council, it doesn’t matter as long as they do what their constituent wants them to do. Another part of Amara’s argument to keep the Met Council around is because there’s a need for long-term planning. That’s a fair point but it doesn’t prove that the Met Council is needed to accomplish that task. In fact, it’s proof that it isn’t needed. Governing bodies that aren’t accountable to people shouldn’t have any authority. 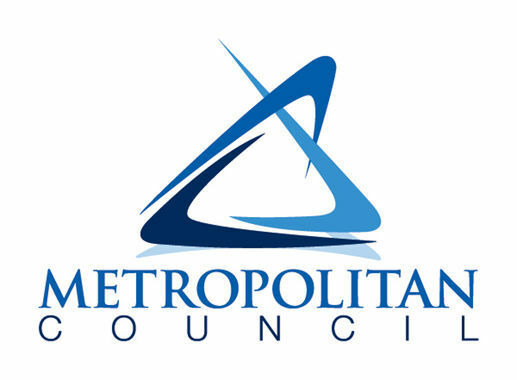 The Met Council under Gov. Dayton is a patronage position. “The people designing your city don’t care what you want.” That’s how forbes.com columnist Joel Kotkin sums up the mentality of today’s so-called “smart growth” urban planners. 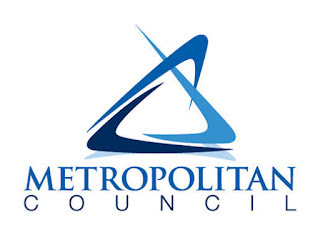 Here in the Twin Cities, we have a perfect example of what Kotkin is warning about: “Thrive MSP 2040,” the Metropolitan Council’s 30-year development framework for our seven-county metro area. Here’s something else worth thinking about when thinking whether the Met Council needs a transformation. First, let’s start by noticing that Amara thinks we need to keep long-term planning out of the hands of “people who face election once every 2 or 4 years.” Question: where does Amara think we’d find these long-term planners? Are they ‘experts’ in their field? If they’re experts in their field, would that lead them to not listen to the residents of the seven-county metro? Would they only listen to like-minded advocates and lobbyists? That’s what’s happening now. The Met Council isn’t listening to people in Prior Lake, Eden Prairie, Maplewood, Woodbury, Plymouth, et al. They have the authority to raise taxes. They don’t face the voters. Ever. That’s the worst possible system imaginable. The truth is that Abou Amara isn’t telling the truth. The Met Council hasn’t undergone positive change except if you think mission creep is positive change. The Republican gubernatorial candidate that puts together a thoughtful plan that puts the people in charge of the Council will have a positive platform to tout to voters. It’s time to straighten this corrupt system out. Saying that Democrats are doing their utmost to portray themselves as the champions of the nation’s blue collar workers is understatement. Unfortunately for them, the WSJ’s James Freeman exposed Democrats as hypocrites in this column. If the Democrats hope to appeal to the blue collar workers that President Trump won over in sweeping Pennsylvania’s, Ohio’s, Michigan’s and Wisconsin’s electoral votes, this won’t work. Nothing says con job like telling blue collar workers that you’re their champion while campaigning in white collar northern Virginia. Nothing says blue collar appeal like Bernie Sanders, Chuck Schumer and Nancy Pelosi. This is perhaps instructive as voters in other parts of the country contemplate whether there is anything new in the latest effort to rebrand a party that has for years been at war with the private economy. 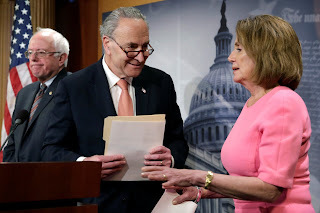 The Democrats have chosen to take their case today to a community that has witnessed explosive growth in recent decades along with that of the federal budget, regardless of how most of blue-collar America was doing. Americans from every corner of this country know that the economy isn’t working for them the way that it should, and they wonder if it ever will again. One party says the answer is that special interests should continue to write the rules and that government ought to make things easier for an already-favored few. A four-month high in U.S. consumer confidence reflects Americans’ sunnier views on both their current situation and outlook, a positive sign for the economy, data from the New York-based Conference Board showed Tuesday. 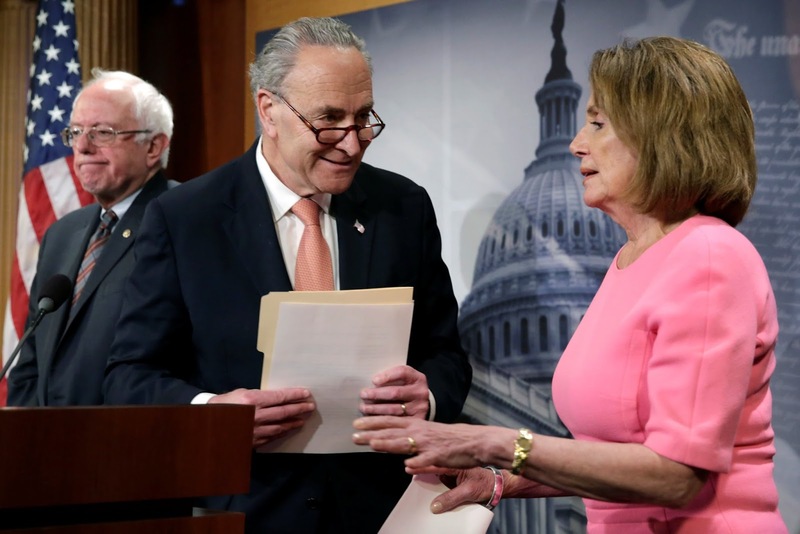 Democrats are selling doom-and-gloom at a time when Americans are feeling optimistic. That’s like trying to sell snow tires to Arizona families in August. What’s most alarming is that Democrats haven’t noticed that the people don’t agree with their message. All this time, Democrats have insisted that they lost because people didn’t know what Democrats stood for. The reality is that they lost because the people didn’t relate to the Democrats’ message. That’s arrogance, not words. Let’s look at Dorholt’s priorities. The tuition freeze might sound appealing but it’s a PR game. Tuition is frozen but the taxpayers pay for the increased cost of college. If you want to stabilize the cost of college, you have to question the expenses. The first thing that should disappear to make college less costly are things like Senior-to-Sophomore, which gives high school students college credits for classes taught frequently by high school teachers. That’s terrible for multiple reasons. First, high school teachers aren’t qualified to teach college-level classes in STEM-related subjects. The students get cheated because they’re essentially told that they’re prepared for college after they’ve taken glorified high school classes. Next, S2S classes steal tuition revenue from universities. Top that off with universities with additional expenses but a tuition ‘freeze’. Tell me how that math works budget-wise for the universities. Tell me how S2S helps prepare high school students for college-level classes. Next on Dorholt’s priorities is to raise the gas tax. That isn’t what DFL legislators do. It’s who DFL legislators are. 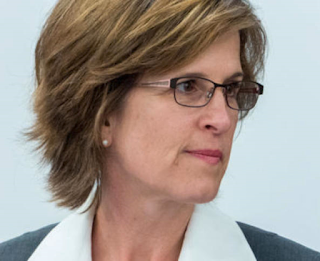 Dorholt would also vote to raise the Metro sales tax to pay for Southwest Light Rail. Mr. Dorholt, how will raising the Metro sales tax fix a single pothole in St. Cloud? Why should we raise the gas tax when Republicans already have a plan that will fix Minnesota’s roads and bridges that doesn’t require raising anyone’s taxes? Finally, Dorholt insists that he’ll fight the evil special interests that are trying to buy our elections. The bad news for Mr. Dorholt is that he’s got a record he’ll have to defend. He’s already voted against in-home child care providers and in favor of the public employee unions, which are bigtime allies of the DFL. 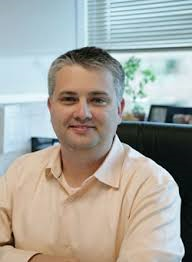 When it came time to choose between the people and the special interests that time, Mr. Dorholt chose the special interests. When the Tax Bill was being debated, local businesses lobbied against the DFL’s tax increases. 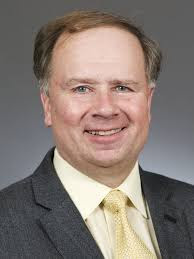 Mr. Dorholt voted with the DFL and against his constituents. Then he returned home and got read the riot act by his constituents. In 2014, Dorholt voted to repeal part of the tax increases he voted to create in 2013. That’s laughable and disgusting. Dorholt’s 2014 campaign finance disclosure report shows that he raised $37,709.00, of which $5,675.00 was contributed by Minnesota individuals. Of that $5,675.00 raised in Minnesota, a whopping total of $225.00 came from a St. Cloud resident. That means $32,034 came from contributors in Philadelphia, PA, West Hollywood, CA, Ft. Lauderdale, FL and other places. That means that Dorholt, as an incumbent DFL legislator, raised 0.6% of his money from the city he supposedly represents. When it came to lobbyists and special interest PACs, Dorholt was well-funded, getting $5,175 in cash contributions from them. Let’s summarize these totals. During the 2014 election cycle, Zach Dorholt, the incumbent legislator, raised $225 from the city he represents while raising $10,875 from other Minnesotans, from lobbyists and special interest PACs. Based on how much money the special interests and the PACs support him and how Mr. Dorholt faithfully votes for their agenda, isn’t it safe to say that this pledge is a PR stunt? According to this article, the Minnesota Chamber of Commerce intends to throw its weight around on putting a transportation bill together. The good news for the DFL is that the Chamber wants some spending on transit. The bad news for the DFL is that the Chamber doesn’t want a tax increase for fixing Minnesota’s roads and bridges. Harry Melander, the president of the Minnesota Building and Construction Trades Council, recently said “When the labor groups and the Chamber get together, it’s usually when stuff gets done. If it doesn’t, then I think we have a much bigger problem with the people up at the Capitol.” Meanwhile, the Chamber isn’t pushing for a gas tax increase like they did in 2008, the last time the gas tax was increased. The Chamber can supply a little political cover for a middle class tax increase in some years. This year, that’s a (pardon the pun) a bridge too far. Further, the DFL majority in the Senate isn’t likely to pass a middle class tax increase if they aren’t convinced that House Republicans will join them in voting for the tax increase. Republicans have been steadfast in their opposition to raising taxes to support new transit projects. Charley Weaver of the Minnesota Business Partnership probably is serious about pushing transit but it’s still possible that he’s bluffing. When Weaver said “We wanted to be crystal clear that this is a priority for us. This isn’t an afterthought. This isn’t, ‘Gee, if you get around to it. '”, it’s possible that they aren’t willing to expend much political capital pushing transit as part of a transportation bill. If Weaver insists, however, on pushing transit, he should expect tons of pushback from citizens. There isn’t a great groundswell of support for transit. There is a significant groundswell of support for fixing Minnesota’s roads and bridges. If Weaver pushes too hard for transit, he’ll lose the entire package. One of the reasons why this session will be contentious is because the DFL is insisting that a promised tax cut be coupled with a middle class tax increase. Simply put, Kurt Daudt and the House GOP caucus won’t let that happen. Actually, Rep. Thissen, imposing a middle class tax increase to pay for transit projects is controversial. It’s controversial because people in outstate Minnesota have put a high priority on fixing Minnesota’s roads and bridges. We don’t care about new light rail projects. Our highways, streets and county roads are filled with potholes. I wrote this article to highlight that the roads are dangerous. I wrote that article in May of 2014. Minnesota’s highways, streets and county roads need immediate attention. Transit doesn’t need immediate attention. Last year, Move MN was leading the lobbying effort for shoving the DFL’s middle class tax increase down our throats. After they failed, something that was inevitable, they’ve been replaced by Transportation Forward. TF will fail, too, because Republicans won’t vote for a middle class tax increase to pay for something that isn’t essential. It’s worth highlighting, too, that there isn’t a great grassroots groundswell of support for new transit funding. The only way the DFL’s middle class tax increase gets serious consideration in the Senate is if the House GOP provides political cover. That won’t happen. Imagine the political danger involved for the DFL if the DFL majority in the Senate passed a gas tax but didn’t get political cover from the GOP. The ads write themselves. Mailers with headlines like ‘DFL passes middle class tax increase’ or ‘DFL ignores Minnesota’s roads and bridges’ would definitely get people’s attentions. Things might get real ugly real fast for the DFL if the DFL pursued this ill-advised strategy. Mark Dayton — Dayton announced that he was unbound now that he’d run his last campaign. It didn’t take long before we learned that that meant he’d start lobbing grenades at whoever got him upset. Tom Bakk ambushed him on the commissioners pay raises. Sen. Bakk, here’s your grenade. Republicans proposed a new way to fund fixing Minnesota’s potholed roads. Here’s your grenade. Gov. Dayton also misread the Republicans and Kurt Daudt. He thought he could bully them into compliance. Though his bullying was ever-present, it didn’t move Republicans because their agenda was popular with Minnesotans. Gov. Dayton never figured that out. He’s still whining about it after the special session. 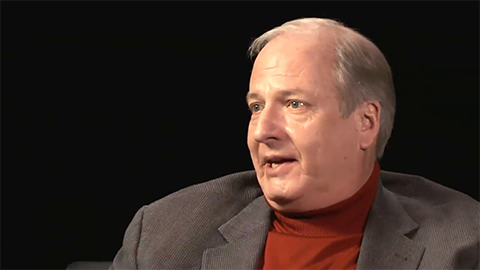 Tom Bakk — Sen. Bakk ambushed Gov. Dayton on the commissioners pay raises but he didn’t do it until they became unpopular with Minnesotans. Sen. Bakk’s ambush smacked more of political opportunism than voicing displeasure with a bad policy. That was especially true when a reporter actually pointed out that Sen. Bakk voted for the pay raises. Sen. Bakk got stung hard when Gov. Dayton accused him of stabbing him in the back. Later, Gov. Dayton said that he trusted Speaker Daudt more than he trusted Sen. Bakk. FYI- That wound never healed. I don’t know that it ever will. Metrocrats — They came in with high expectations. Tina Flint-Smith was the new Lt. Governor. They had a bold progressive spending agenda. By the time the session was over, Rep. Thissen’s face was more likely to be seen on milk cartons than at negotiating sessions. Move MN — They fought for a gas tax increase. They lobbied both caucuses hard, sometimes sneakily. In the end, they got their lunch handed to them. Brian McDaniel — Brian McDaniel isn’t a household name to most Minnesotans but he’s known by political nerds like me. McDaniel is Republican lobbyist who lobbied for the aforementioned gas tax increase. What’s worst is that he didn’t disclose that he was lobbying for Move MN when he went on Almanac or At Issue. That’s definitely unethical. Keith Downey — His ‘Send it all back’ tax refund campaign was a disaster. He knew that a $2,000,000,000 tax cut didn’t have a chance of passing. Period. When he appeared in the ad himself, he made himself the face of opposition to the House Republicans’ agenda. The Twin Cities media had a field day playing up that dispute. I’m sure there were other losers during the regular session but that’s my list. If you want to add to this list or if you want to disagree with me, knock yourself out.